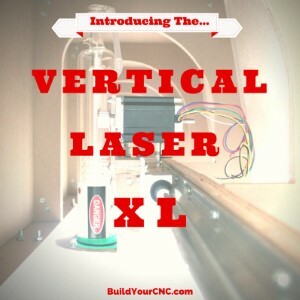 Katy, TX – Locally owned BuildYourCNC announced today the unveiling of the Vertical Laser XL: the newest addition to their line of digital fabrication machines and accessories. The Vertical Laser XL is a large format laser engraver featuring vertical orientation and a four foot by eight foot cutting surface. The CO2 laser tube is 80 watt and will eventually support up to 130 watt CO2 tubes. The design is similar to BuildYourCNC's greenLean, a vertical CNC machine that is designed to be wall mounted. The idea is to provide small shops and hobbyists with a large format fabrication machine that doesn't take up as much space as a traditional machine. 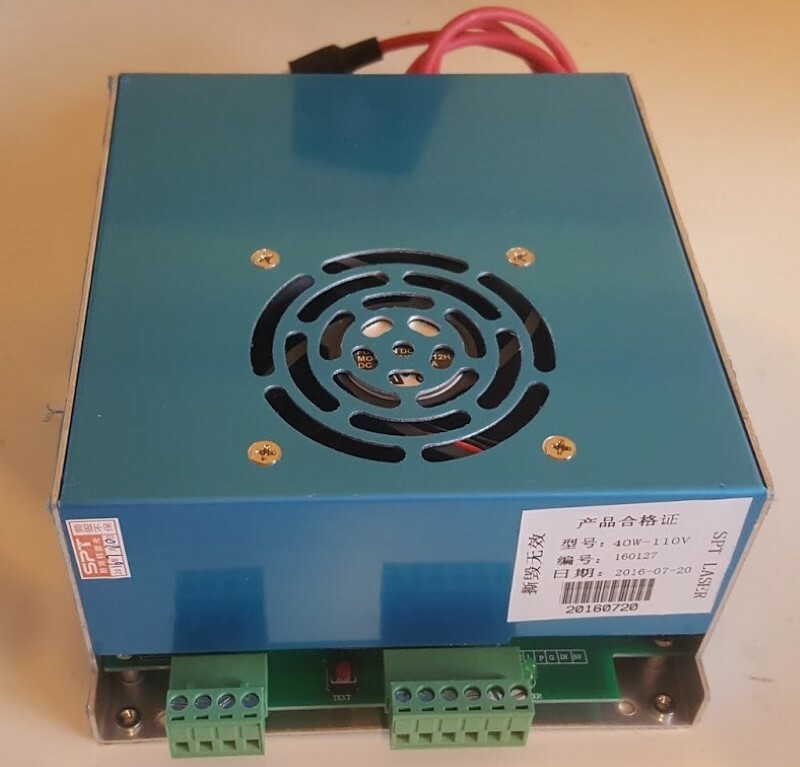 This will be the second laser engraver BuildYourCNC has introduced, following the blackTooth 40 watt laser engraver which was introduced by a Kickstarter campaign in October 2012. The Vertical Laser XL will include some major upgrades from the blackTooth system. In addition to the more powerful 80 watt laser tube and power supply, the Vertical Laser XL will feature an integrated control unit, adjustable limit switches, an industrial water chiller, and an exhaust system. BuildYourCNC will be showcasing the Vertical Laser XL at the 2015 Houston Mini Maker Faire on November 14th, 2015 at the George R Brown Convention Center.